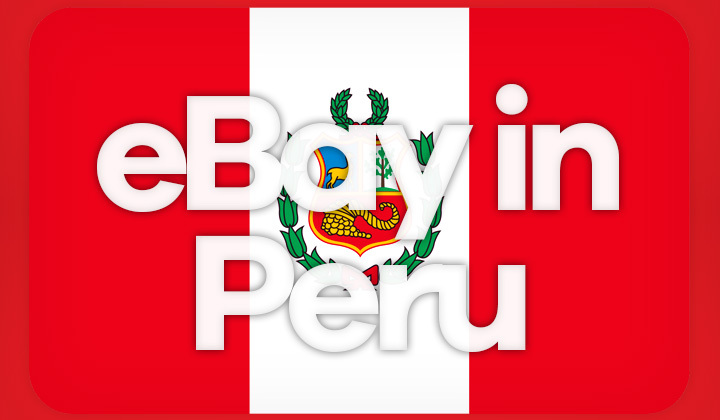 There is eBay in Peru! A localized version exists for both local and global shopping, auctioning, selling in English & Spanish. Here’s your guide to Peruvian eBay.. Weather you are in Lima, Arequipa, Trujillo, Chiclayo or shopping with shipping to anywhere else in Peru, the “global eBay version” is officially recommended. The eBay.pe domain simply forwards customers to the global site. After detecting your country location as Peru, it will calculate shipping costs and show the most relevant search results automatically. Here are instructions on how to use & fine tune the popular e-commerce site..! While localization is partial, and lacks for example support for the Peruvian sol currency, you can change language, shop locally and a lot more..! Local sellers with economic shipping are on the increase, so it’s always worth checking for availability amongst Peruvian stores, and auctioneers. Step 1. Open the advanced search option for eBay in Peru. Step 2. Find “Located in” settings from that page. Step 3. Choose “Peru” from the list of available country locations. Step 4. You are ready to conduct your search from local sellers. You can also narrow down the searches to broader, country regions to for example shop among Asian sellers with highly competitive pricing & availability. Step 1. Open the international eBay website in Peru. Step 2. Simply conduct any search of your preference first. Step 3. On your left, you can find the “Item Location” options with ready regions to select from, Asia, North America, Europe, etc. Step 4. One click will automatically narrow down results to the region. The global eBay.com site will automatically detect your location, and those located in Peru or almost anywhere else in South & Central America will have an additional option to change the interface language between Spanish & English. While access from anywhere in the world will see the English version, for Spanish support there is no easy way for outside of Peru & Latin American countries. You’ll see a globe icon at the top, clicking on it you should see the options for “Español” or “Spanish” as well as English languages. In a similar way, once your internet connection used to access eBay is located in Peru, it will automatically attempt to calculate shipping, and delivery costs. Payments however, are not available in cash or delivery which is still quite popular in the country. If any of the major credit and debit cards are not an option, you can connect bank accounts to PayPal for conducting payments. The auctioning portal is known to ship to cities in Peru such as; Lima, Arequipa, Trujillo, Chiclayo, Huancayo, Piura, Cusco, Chimbote, Iquitos, Tacna, Juliaca, Ica, Cajamarca, Pucallpa, Sullana and elsewhere. As well as most regions; Piura, La Libertad, Cajamarca, Puno, Cusco, Arequipa, Junín, Lambayeque, Ancash, Loreto, Lima, Callao, Huánuco, San Martín, etc. International sellers may benefit from the global shipping program, which gives access to the growing e-commerce market in Peru. The system is well known with good support, and has the convenience of a fully English language interface. Making it one of the easiest routes to sell online. And that was my review & guide to eBay in Peru..! What’s your take on the Peruvian online shopping scene? All questions about using eBay there are welcome! Thank you for visiting and sharing if possible, David. And for your voluntary collaboration, I want to notify you that some of the hyperlinks are affiliated with services that could pay out commission for converting sales. This helps me and the blog tremendously. Humble thank you to all.